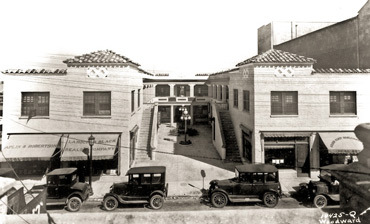 Belair Courtyard is located 1/2 block from US1 on Brevard Avenue in the heart of historic Cocoa Village. 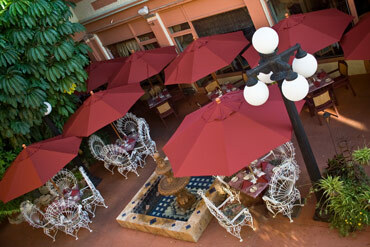 In the courtyard is Café Margaux and several retail businesses and professional services. Plenty of parking is available with over 220 parking spaces close nearby. Shopping, dining and banking attract thousands of locals and visitors daily! 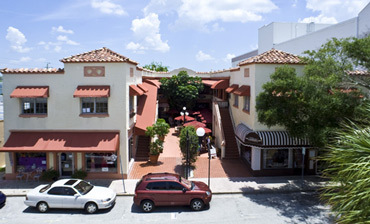 Belair Courtyard today as seen from Brevard Ave.